I have had many questions about using my collection with your online documentation systems. You can use our editable pages to make your printed copies for families who prefer this method. Many services are now using Storypark – an online learning community for children that enables you to create, share and analyse your documentation. 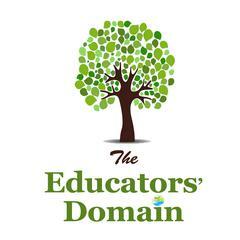 Storypark makes it easy to upload your completed Educator Domain pages. Once in Storypark you can also link them to the EYLF or other curriculum/philosophies of your choosing. 1. Simply save the page as a jpg. File-Save as- choose file type jpg-current slide only. 4. Navigate to the files you wish to upload and click on one of them. Hold down the 'Ctrl' key (on a PC) or the 'Command' key (on a Mac) and select another file you wish to upload. Both will show as being selected. You can continue doing this until you have finished selecting all the files you wish to upload. 5. Click 'Open'. All the selected files will begin uploading to your story. It is that simple! You can use our outcomes page as well or you can choose the outcomes for your stories using the Story Park features. Storypark is Australia’s preferred digital learning platform and is being implemented by KU Children’s Services, Goodstart Early Learning, ECMS, Affinity Education and Guardian Early Learning Group after thorough evaluation of the various products available. Sign up at www.storypark.com and see for yourself why these organisations have chosen Storypark.